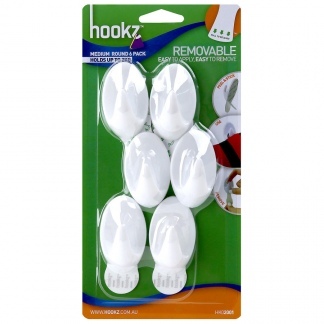 This ten pack of white round adhesive hooks can support up to 1 kg each. 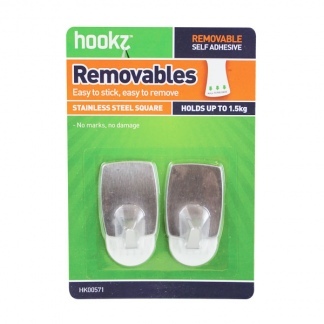 The Hookz Removables Small Round Hooks 10pk of small round utility Hookz able to hold up to 1 kg each. 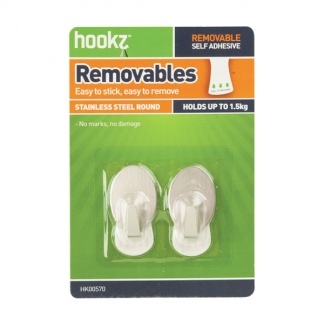 Small and mighty, these hooks are strong and adhesive. 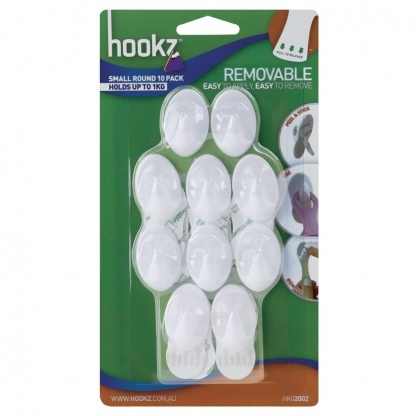 These plastic hooks are strong and reliable and easily fit into any décor.